Tiger may have lost to Brandt Snedeker, setting up a likely elimination unless he beats Patrick Cantlay and Aaron Wise takes out Snedeker (or Snedeker ties, Tiger wins). Post Quad: Could Tiger Have Dropped From The Island Green's Walkway? Just two back at the time, Tiger Woods made quadruple bogey at the par-3 17th and likely killed his chances of winning the 2019 Players. ESPN’s Bob Harig on the first-ever two-water-ball day for Woods at 17 and the impact it made on Woods’ chances. "Both shots I'm just trying to hit the ball into the slope [on the green] and just walk away with a 20-, 25-footer and move on about my business," Woods said after shooting 71 to finish at 141, 3 under par. "The second one I hit too flat and too hot. But the first one from the regular tee and was a good shot, it just flew a little bit too far." But as the Live From crew noted last night, the yellow penalty area marking means there was an opportunity to possibly drop on the manicured walkway. The wording of the new rule also gives the player room to drop where a stance might be possible. Brandel Chamblee has since Tweeted suggesting his take was confirmed by a rules official. Tiger At The Players: "Everything is headed on track towards April." As The Players prepares for its March return, Tiger Woods confirmed his work with short game instructor Matt Killen and explained the state of his neck issues. And mostly, he assured his worried fans that he’s got this all under control for that very important tournament in April. Q. The other one, you've always talked about finding a rhythm for a season. You've had the 72 holes in L.A. and elevation struggles in Mexico and the putting, the WD last week. Any concern that you're behind schedule as far as finding a rhythm before you get to Magnolia Lane? TIGER WOODS: No. I've played three tournaments this year so far, and that's about right. I was going to play three or four. If I would have gotten my rounds in last week, it would have been four tournaments, so I'm right there where I need to be. My finishes are getting a little bit better each and every time I've gone out so far this year, and I've gotten a little bit more consistent with my play, and I think that everything is headed on track towards April. Eh em…toward the second week of March we know you meant. Swing looks amazing. He’s feeling good and says he needed last week off. Oh, and Tiger Woods is working with a putting coach, Matt Killen, it appears. Brian Wacker reports for GolfDigest.com. He joins the Players media interview room Tuesday at 10:30 am ET. Tune into Golf Channel Live From for live coverage. Steve DiMeglio talked to a few players who have texted with Tiger Woods after his surprise Arnold Palmer Invitational WD. McIlroy also said Woods was wearing KT Tape on his upper back. “He’s just being careful,” McIlroy said. That’s what Woods told two-time major champion Zach Johnson in text messages Tuesday morning. As we discussed on Tuesday’s Alternate Shot, I hope and suspect Woods is just taking every precaution to ready maybe for next week’s Players, but most definitely with a goal of being 100% on April 11th and three other Thursday’s in 2019. "Tiger Woods raises old questions with new neck injury"
Steve DiMeglio sees an unfortunate run-up to Augusta for Tiger Woods after a Tweeted WD from the 2019 Arnold Palmer Invitational. Now, instead of dialing in his swing and rhythm, Woods will be receiving treatment and trying to get ready for The Players. 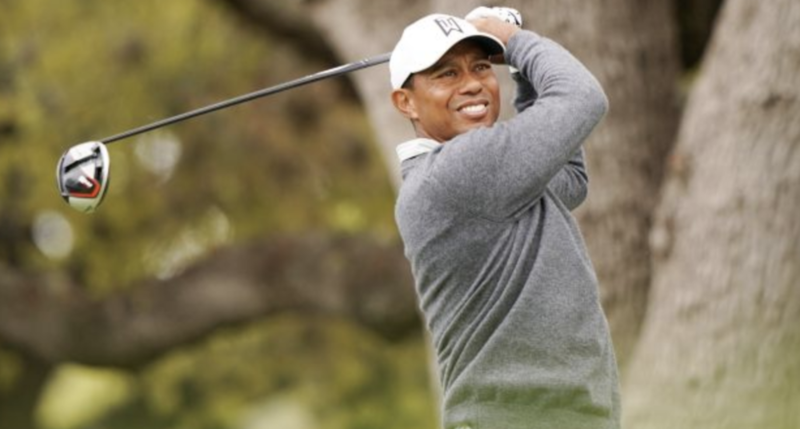 Without his tune-up at Bay Hill, Woods has only four events to play before the Masters – The Players, the Valspar Championship, the WGC-Dell Technologies Match Play in Austin, Texas, and the Valero Texas Open. Woods has never played the week before the Masters, so Valero is likely out. He also rarely plays three events in succession, so, if he does play The Players, one of the other two would be out. That’s not the schedule Woods was eying earlier this year in his runup to the Masters. In his mind, there was certain beat he wanted to follow. But a neck strain has sent him off key. I would say it’s obviously not ideal, but Woods looked physically uncomfortable in Mexico City and in LA, appeared to be someone who is very confident in his ability to turn it on when he needs to. People will hate to hear this, but he’s about four weeks a year at this point in his life and the slightest physical annoyance will sideline him if it’s not one of those four weeks. Ben Hogan got that way late in his career and no one had a problem with it. Tiger has different responsibilities but ultimately, the thing that draws people to him is his ability to peak at major championships. His time is limited to maximize his chances and he knows it. Sure, the real Netflix didn’t pick up the Best Picture win it so coveted—but plenty of other trophies—the service billed as the Netflix for golf by all finally scored an exclusive with partner Tiger Woods after his WGC Mexico City closing 69 and 10th place finish. While not the winning way he is accustomed to, Woods showed more signs of positioning himself well for the Masters with a miraculous recovery shot and enough birdies to suggest he’s in solid form. Yet as Bob Harig notes for ESPN, Woods wasn’t chatty after his final two rounds in Mexico City. And for the second day in a row Sunday, Woods declined to talk about it. Golfers across all professional tours decline media requests after poor rounds, but Woods has been the rare type to be accountable for good and bad -- and he's also the only one requested every time. Woods skipped just one post-round media session last year but now has two in a row at the WGC-Mexico Championship, the post-tournament recap refusal something that hasn't occurred in years. While Woods is certainly entitled at this point to take a pass given how consistently he’s stopped for post round coverage when he undoubtedly was ashamed of his play, it’s hard not to wonder if the Netflix-for-golf pressure to deliver something…anything, prompted a call to throw a reminder out there that the fledging streaming service exists. The exclusive from Woods is viewable in the only place American and most international viewers can see the coverage: Twitter. "I'm officially excited to get off Poa!" Remember walk up music? That’s right, we do not hear about that lame idea much because of poor execution. Besides, there is still nothing better than a great first tee announcer as we saw again Thursday. As Steve DiMeglio notes for Golfweek, Tiger Woods’ first round in the WGC Mexico City Championship peaked at this introduction and was followed by a largely cautious round as Woods adjusted to the altitude. Rory McIlroy leads with an opening 63. Tiger’s opening tee shot(s) did not live up to his first-tee introduction Thursday in Mexico. As an eyewitness to this adorable little moment in Wednesday’s Farmers Insurance Open pro-am, I can attest that it was 100% comedy and totally innocent. Here’s what happened: Tiger Woods tees off at the 13th and walks to the forward tee where a local pizza vendor has been commissioned to hand out pies to pro-am participants. 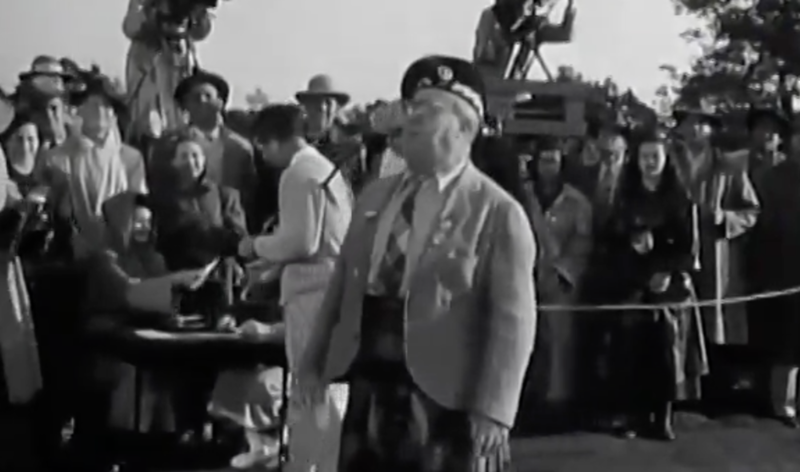 The legendary golfer and one of the most famous people on earth is rejected because, it turns out, a health inspection was taking place at that moment and they could not hand out pizza. Tiger doesn’t know this but laughs off the rejection with Joe LaCava and his pro-am partners. Everyone had a good chuckle at the sight of Woods getting turned away in the same way Roger Federer’s rejection from entering the Australian Open locker room last week went viral. Brandon Stone of San Diego’s KUSI captured the whole thing and posted it on Twitter. He also wrote about the light moment here and the star-struck lad who loves Tiger but had to say no because of the inspection taking place. Stone’s video of the moment went viral, of course. But Stone also Tweeted the news of the video takedown notice from the PGA Tour. Copies are floating out there and while I’d like to share one, I don’t want the blood of a takedown notice on my hands here. But the bigger point: the PGA Tour runs the dreaded “Live Under Par” ad campaign encouraging fans to post photos and videos of fun things happening at PGA Tour events. As they are getting killed by the European Tour on the social media front when episodes like this happen, you can bet the Euros would have had a blast with Tiger over this. Why common sense did not prevail, we can only imagine. I would have figured the old man is set in his ways, but Bob Harig of ESPN quotes Tiger discussing the new flagstick rules and the Big Cat is warming to the idea. In some situations. "I've been experimenting trying to hit putts downhill at home and see how that feels, and I didn't find that I hit better putts. It just felt like I could hit it more aggressively, which I did. Then I started running it 8 or 9 feet by. It might be more advantageous when we get on faster greens, a little bit more slope, i.e. Augusta. Where you have that sense of security on a 3-footer, a 4-footer down the hill, you can just take a cut at it." The Farmers Insurance Open returns to Torrey Pines with stout rough and even better weather forecast. While it’s a bit silly to enlist Tiger Woods as a favorite here given the strong recent play of Torrey lovers like Jon Rahm, Marc Leishman, Tony Finau and even defender Jason Day. We debated that notion as Woods kicks off his campaign and having not seen his game when bickering with Matt Adams, I now revise my assessment. He showed no signs of rust and appears to have the same rhythm and swing confidence as he did by the second half of 2018. As Dan Kilbridge notes in this Golfweek assessment, Wood is mentally refreshed after overloading from a playoff and Ryder Cup run last year. If the putter cooperates, look out. Woods is also sporting a lot of new clubs in the bag. Rory McIlroy actually was going to play the Junior World here and even took part in ceremonies before not playing, so he only played Torrey Pines for the first time Wednesday. The course is different than he thought it would be, writes Rex Hoggard. But as Steve DiMeglio notes, McIlroy’s issues on recent Sundays will be thought about by most. Just not Rory. I also penned this short item on McIlroy’s views of Hosung Choi and whether he should have received a sponsor’s invite to Pebble Beach. Jason Day’s relaxed and confident approach makes the defending champion here dangerous, as does a change in irons after a disastrous 2018 campaign approaching the greens. Here is our Golfweek preview of all things Farmers, including telecast times and more. "Tiger Woods’ biggest moment didn’t last very long"
One highlight of Tiger’s pre-Farmers Insurance Open press conference was the revelation that he’s gone back and savored the final round NBC telecast of the Tour Championship, as well as many of the photographs from his 80th PGA Tour win. Doug Ferguson of AP pieces together how the iconic moment in a career full of them felt to Woods and those around him.